Goose pastrami is what I do with most of my Canada goose breasts. It is an easy project that makes the most out of these often-tough slabs of meat. Why geese? Well, Canada and snow geese are very close to grass-fed beef in flavor (they eat the same thing), they have large, easy-to-work-with breasts, and they do have a tendency to be tough, which means that any way you can cook them that lets you slice the breasts thinly is a good thing. So there ya go. This is traditional! 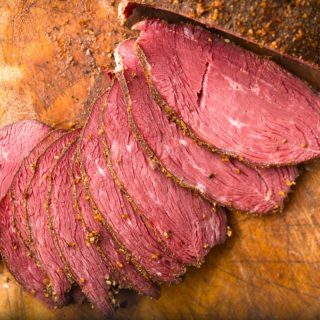 To make pastrami, you dry cure (sometimes brine) the meat for a few days, dry it a bit, coat it in the characteristic black pepper and coriander and then smoke it. Sliced thin on a sandwich, it’s God’s gift. Good pastrami at a Jewish deli is something you must eat at least once before you die. If you have any goose breasts in your freezer, go for it. A pastrami on rye with good mustard, a slice of cheese and maybe some sauerkraut, and you got yourself some awesome there! I specifically call for Canada goose breasts here because they're the only ones I think are large enough to make this with, although domestic goose breasts will also of course work, if you have them lying around. Ditto for swan or sandhill crane breasts. Could you do it with snow goose or speck breasts? Yeah, but they'll be a lot smaller, and I'd only cure them for 24 hours instead of 24 to 36. Weigh your goose breasts. For every pound of goose, you'll need 10 grams of kosher salt, which is about a tablespoon. It's OK if you are a little off on this measurement. Mix the salt, curing salt, sugar as well as the thyme, celery seed, caraway, juniper and the teaspoon of black pepper and grind them all together in a spice grinder. Pack the goose breasts with this mixture, massaging it into the meat. Put the goose into a closed container in the fridge for 24 to 72 hours. When you are ready, rinse off the goose and pat it dry. It's fine if you have a little bit of the cure stuck to the meat, but you don't want too much. Put the goose breasts on a rack in the fridge and let them dry uncovered for a day. Dip the goose into the brandy -- or really any other liquid you want -- and then coat thoroughly in the remaining black pepper and ground coriander seed. I like to grind this myself so the texture is a little coarse, a little fine. Smoke the goose breasts until the interior hits 140°F, which takes me about 3 hours. 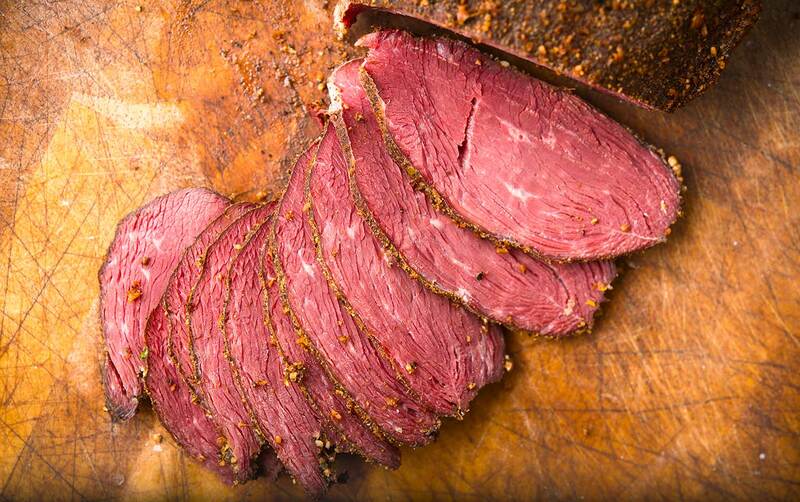 Let the goose pastrami cool and eat as lunch meat, or on crackers or whatever. A word on the Instacure. The 3 grams I call for will actually be enough to cure up to about 3 pounds of goose meat. A general rule is about 1 1/4 grams of Instacure per pound. Do not use more than I call for, though. You can buy curing salt No. 1 online. Be careful when you are smoking your goose, as the internal temperature can skyrocket in such small pieces of meat. They'll be ready in 90 minutes in a hot smoker, which to my mind isn't enough time on the smoke. Try to keep your smoker at 200°F or cooler; I like to keep it at 160°F, which lets me smoke the goose for a solid 3 to 4 hours. 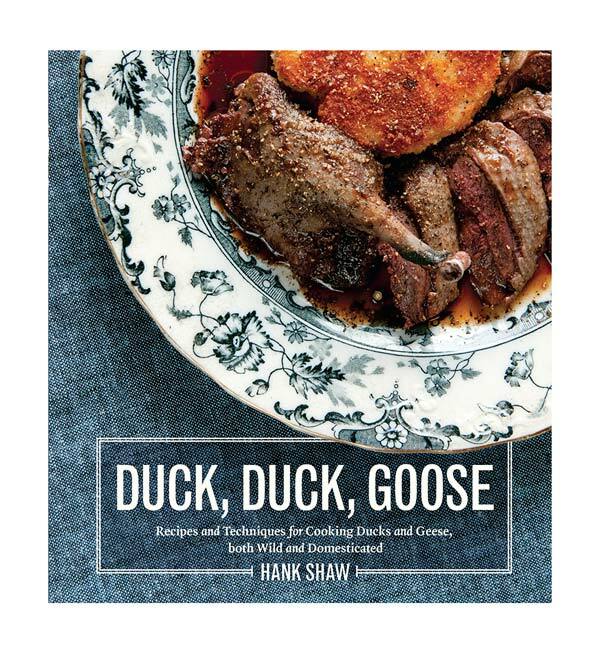 Explore nearly 100 recipes for all varieties of duck and goose, wild or farmed, right here on Hunter Angler Gardener Cook! Like many hunters, I find it more enjoyable to shoot Canada geese than eat them. Or I use to, before I found this recipe. 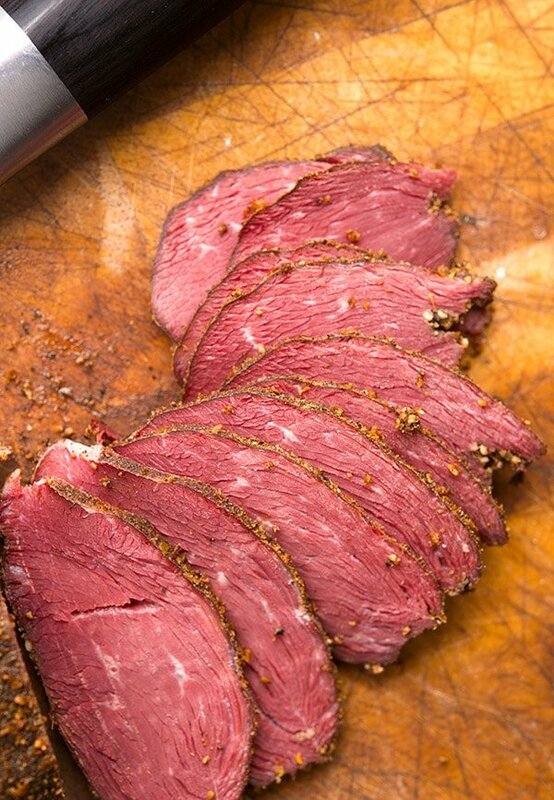 Every single person I have served this to has said that it was the best pastrami they’ve ever had. Not best goose pastrami. Best pastrami. And I’ve mostly served this to folks that shutter at the thought of eating wild game. Can’t thank you enough for this one Hank. Recipe notes: before I could find juniper berries, I replaced them in the recipe with good gin. The gin gave it a little hint of juniper, but I prefer using the berries (which are easy to procure online). I also highly recommend toasting the caraway, juniper berries, and peppercorns before grinding (not the caraway) and including. Finally, Hank, it would be great to have metric weight versions of all your recipes. This is one of my go to uses for Canada goose breasts. I have been making it every year for about 5-6 years now. This year I did something a little different. I kept the skin on and stuffed 2 breast chunks together, meat side in, skin side out, into sausage netting. I smoked it to about 136 internal, rested, then sliced it as thin as I could with a large fillet knife. Then I tossed all the sliced pastrami in the black pepper/coriander mix. There was enough moisture there that it adhered really well. I really loved it this way. Vac sealed into 1 lb packages for my next fishing trip. Can’t wait!! While not recommended, I did this with specks and snows since that is what I had at the end of the season. I think I might increase the spices in the curing process a little next year. I smoked this to 145 over hickory (3 hr at 160-170). Mighty tastey! I also did this to the legs and plan to shred those into a reuben casserole of sorts. 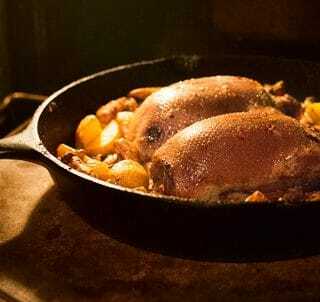 Heyo – would this recipe also work well for wild duck breast? I made a load of this last season with goose and it turned out great, but I’ve got freezer full of duck from this past season, so would like to try something for that as well. TIA. KB: Yes, but they will be very small.